My husband and I fell in love with tiny houses. We are getting ready to retire and sell the house that you sold us in Bonnie Brae. Can you email us some comparable sales in the area to get started? We are ready to unload our “stuff” and move on. We’ve thought about buying a piece of land and building a tiny house to put on it and live in the mountains. There is much to be considered before you buy land. 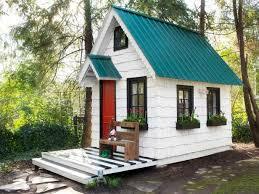 What will zoning laws permit you to do with the land? Are there covenants and restrictions already in place? Is the land in a flood plain or has it been cited by the Environmental Protection Agency for environmental reasons? Is there a current survey? Is financing available? Is water available? Is there a well? Does it work? Just give a call when you are ready to talk about your change in life style and we will be ready.